This week is a little bit of a break from the usual format. I have a personal story to tell. I just moved. And I'm so glad I kept paracord with me. 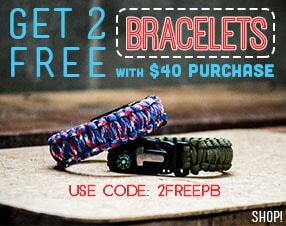 I know, I know, I work for a paracord company, so of course I am going to promote our product, but I'm being genuine. Moving is one of those activities that always turns into more work than you planned for. There are always more expenses and more odds and ends left at the end than you ever have time for. More than once, my wife and I almost gave up on moving frugally by running to Home Depot to buy real moving boxes. 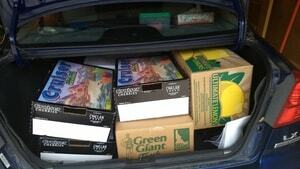 But we stood strong 'til the end and even ended up with more grocery store produce boxes than we needed. My wife is the organized one in our relationship. I thought I was organized before I met her, but she takes organization and planning to a whole new level (think spreadsheets for fun). 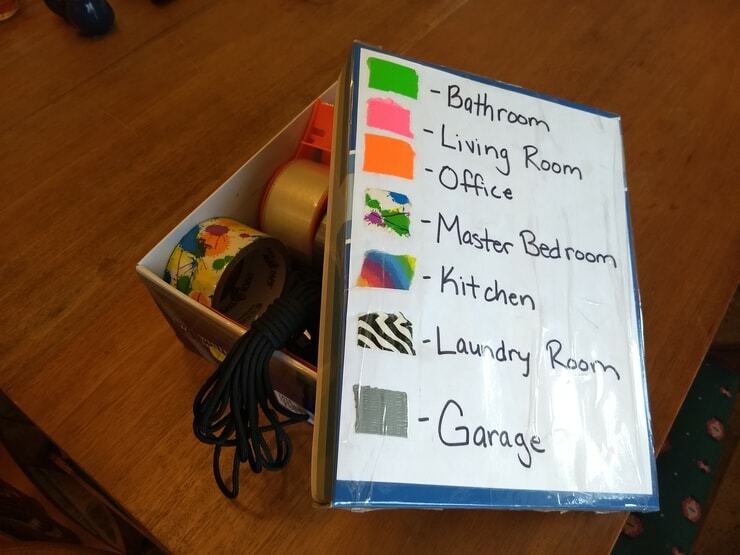 She put together a "Moving Kit" for us, complete with colored duct tape for labeling which room each box should go in. All of it fit inside a shoebox to which she taped a color legend on the lid. My one contribution to that kit? Paracord. At first it was kind of a joke. Ever since I started working at Paracord Planet, I've made crazy claims about being able to fix anything with paracord—most of them outrageously false. My wife just rolls her eyes at me when I say, "I bet I can fix that with paracord!" That being said, I have found some legitimate uses for it as well, such as a clothesline in our apartment shower. When I told her that paracord would be a useful moving tool, she wasn't convinced, and secretly, neither was I. Turns out that paracord has all kinds of uses when you're moving! At first it was simple stuff. 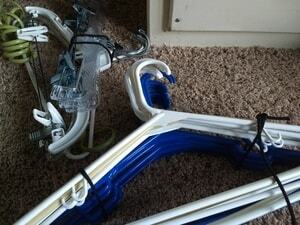 I tied a pile of hangars together just to keep them from getting all tangled—as hangars do. Then, we needed the apartment door to stay open. The door is too high off the floor to use a doorstop, so I rigged a piece of paracord from the door handle to the coat rod in the front closet. The building door also needed to stay open to accommodate all the cargo-laden traffic, so I again made a paracord loop to tie around the handle. I attached that one to a pipe outside. I have a confession to make. My wife tied the knot in the picture. I forgot to take a picture of mine—it was a masterful prussik hitch. In a previous move, the drawers of my desk slid open while on an open trailer, spilling important documents all over the road and ditch. I wasn't about to let that happen again, so I strung paracord through all my dresser drawers to keep the contents inside. 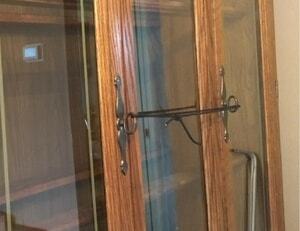 I also tied shut the glass cupboard doors of my wife's precious china hutch. This one didn't work super well, but it got the job done. In order to save space in our moving truck (AKA an Astro van from the early 90's), I strung a paracord line between the back two seatbelt anchors to use as a clothes hanger. Because of the stretch of paracord, my makeshift closet rod quickly sagged under the 100+ lbs. of hanging clothes. It did, however, keep them mostly upright and out of the way. Come the last day of our move, my wife and I were both exhausted. We loaded up our box spring and returned for the mattress. Inside it's protective plastic, it was slippery and very hard to handle—in addition to being heavy. Then, I remembered something I had seen on the internet. I asked my wife to wait a minute because I had an idea. She happily took some time to catch her breath and watched me with skepticism. When I pulled out the paracord, she leaned in with interest. I tied a big loop on the floor, a little longer than the mattress, and then I tied a simple overhand knot in the middle, making a figure 8. We set the mattress on top of it and each picked up the handle on our end! I like to think she was pretty amazed at my ingenuity. Whatever the truth was, my handles worked pretty well once we padded them with rags to keep our hands from hurting. When you move, it's inevitable that a few things will break. 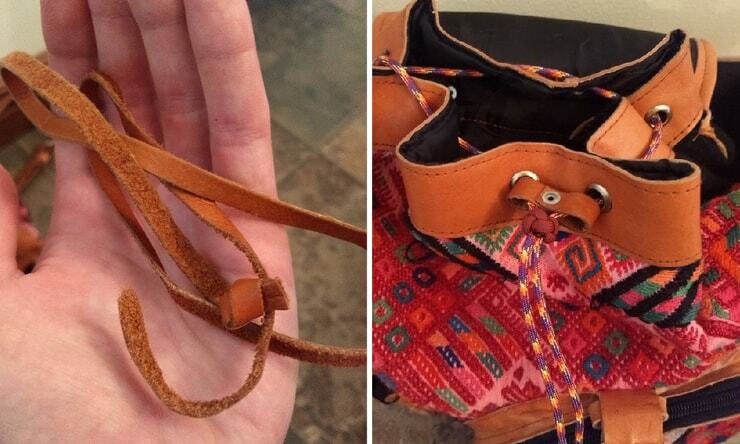 My wife's backpack had a leather cinch strap around the top that was wearing out. Packing the bag full of shoes was the straw that broke its back. I replaced the strap with some paracord that [almost] matches the pattern of the bag and added a ranger bead for cinching it tight. I was pretty proud of this one. My friends, and even coworkers, laugh at me when I tell them about how much I used paracord during the move. But my wife keeps commenting, "I would not have been able to help you carry that mattress if you hadn't made that strap!" I guess that means, mission accomplished. Every good moving day starts with paracord and ends with eating pizza in the new place! 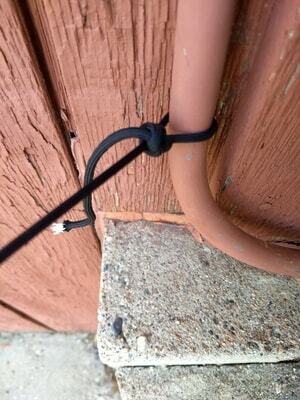 Do you have any paracord hacks or stories about moving that you want to share with us? 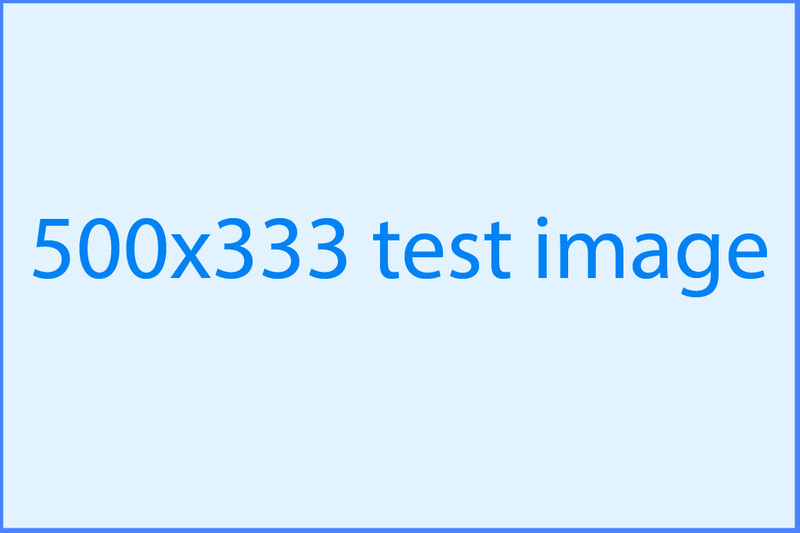 Post a story or picture in the comments! 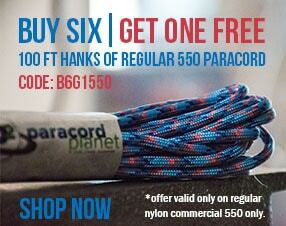 Last week, Isabel and Kyle won 100 ft. of 550 paracord! This week, comment to win 1/8" shock cord!